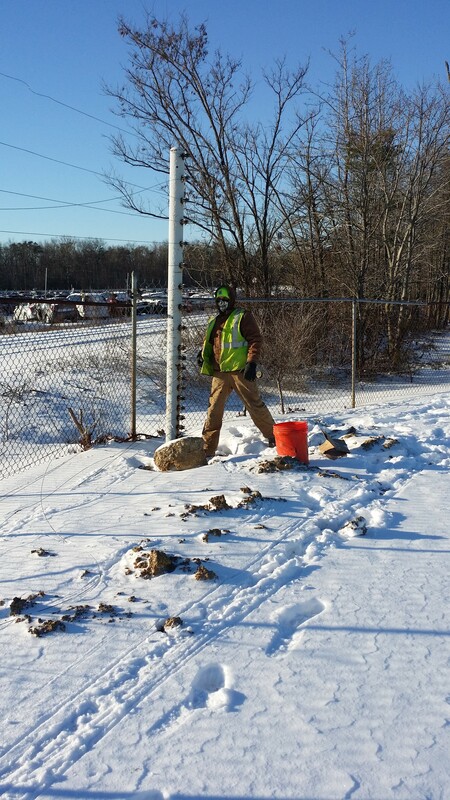 In the midst of other security system suff ering power outages and faults due to the extreme cold and heavy snowstorms, we’ve received numerous questions about how and why the Electric Guard Dog withstands the winter weather so well compared to competitors. While most know our system is solar-powered and therefore impervious to outages, there are some winter features you may not know about your trusted security partner and business’s best friend, Electric Guard Dog. We also have a few tips for maximizing “Sparky” in the snow. While EGD overall gets high marks on customer surveys, there’s one department that is routinely ranked the highest: Field Services, the technicians that not only perform preventative maintenance visits, but also repair EGD’s systems when the customer reports any type of damage. Many of our customers appreciate the thoroughness of their knowledge and their dedication. All of customers seem to like them personally – they’re “really positive” people. Okay, we’ll stop with the energy puns now.